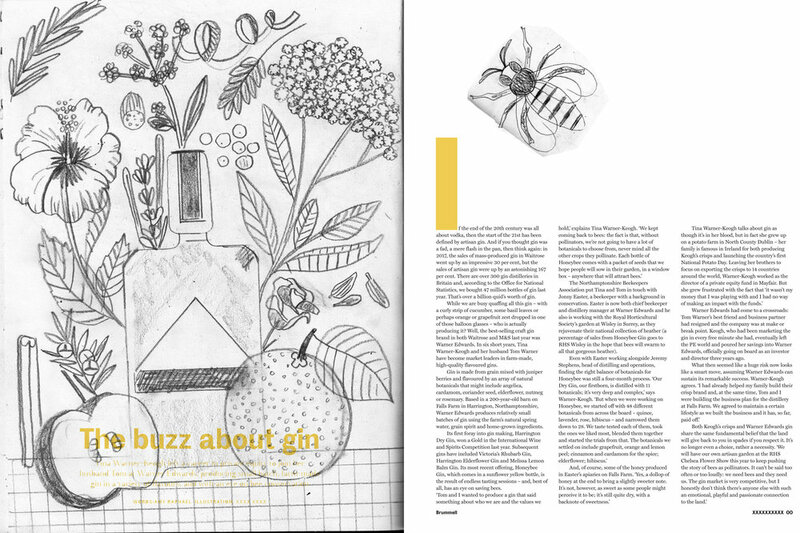 The fine folks from Brummell mag asked me to illustrate a page a about gin and bees, how could I resist this fine assignment!? 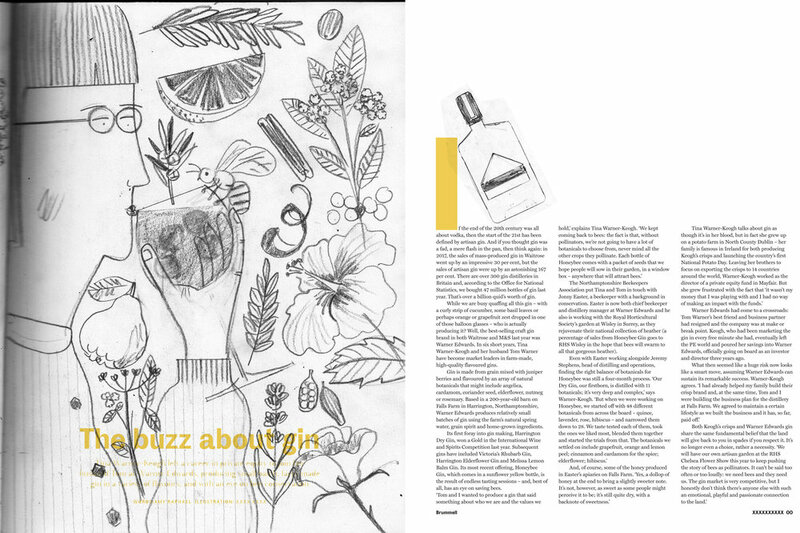 The client referred to one of my "hands with flower" illustrations, which was a lovely idea for this feature. I immediately had a picture of a possible illustration in my mind. 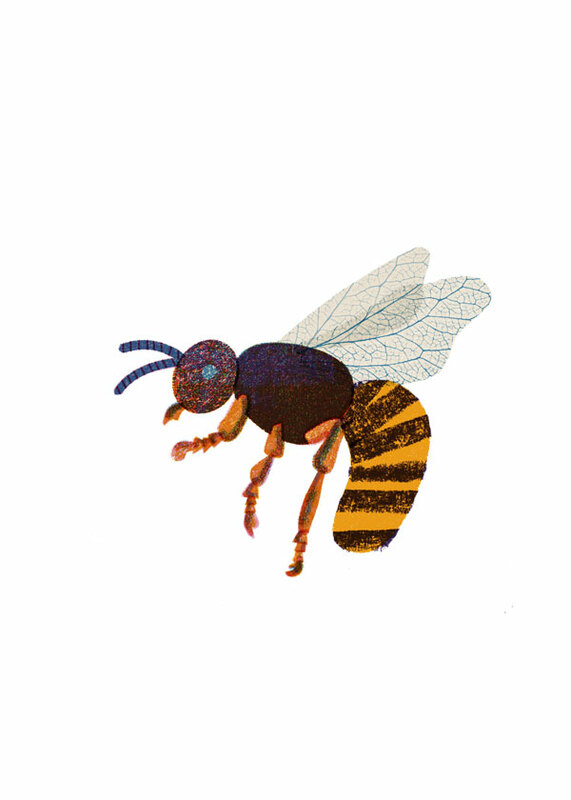 Below is the final illustration with a little bee on the side. Followed by early stage sketches for this feature. The main focus should be on the Gin itself and it`s ingredients, that`s why I chose to show the lovely bottle surrounded by lots of flowers and herbs. My second idea was to show a lady enjoying a glas of Gin. The text referred to the owner, a clever woman who`s family also own a crisps manufacture (such a dream! ), so I imagined her when drawing this. 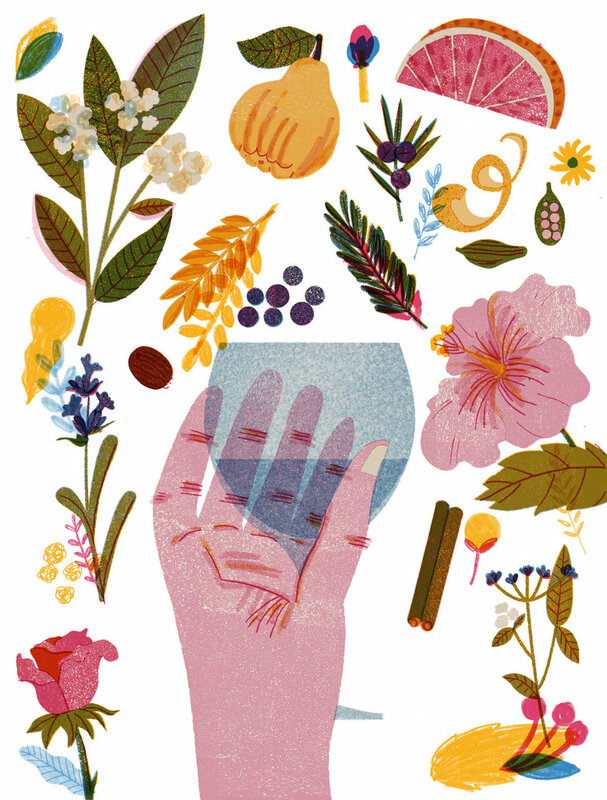 As I really enjoy drawing hands I finally drew this version of an elegant hand holding a full glas of Gin surrounded once again by all the beautiful ingredients. I had the great honour to create a google doodle to celebrate the kick off of the strawberry season in Germany. The whole point of this assignment was to celebrate the best season of the year: the strawberry season! The briefing let me lots of creative space to play around and to try out different ideas. I focussed on the simple beauty of the fruits and added some summery characters whom interact through the scenery. It was a lot of fun to incorporate one of the most know Logos of the world into my illustration and still stay loose and fun. Here are some early stage sketches following some different ideas. In the end we did a mix of two sketches, using the google colors and letter replacements to reflect the logo.